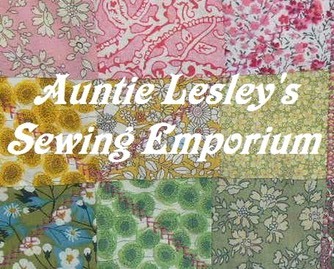 "I highly recommend�Auntie Lesley's Sewing Emporium�to Local Mums. My daughter Layla loves the quilt that I commissioned Lesley to make for her for her birthday. Now all her friends want one!" 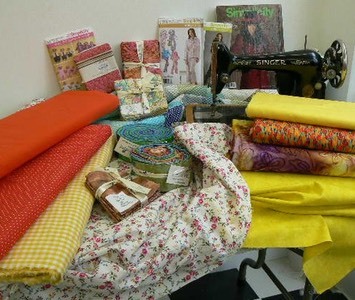 After the success of BBC TV’s Great British Sewing Bee lots of people seem to have got the sewing bug! Limited spaces, call Lesley on�07971054568 to reserve a space! 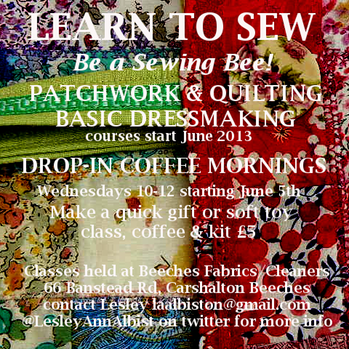 More courses starting in September!